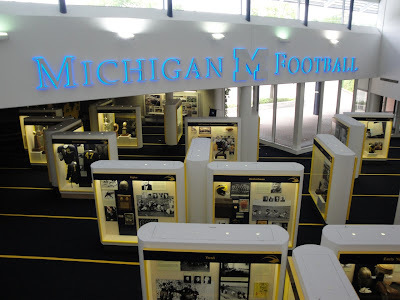 Had the great pleasure of attending Michigan's media day event today at Schembechler Hall and at the Big House. 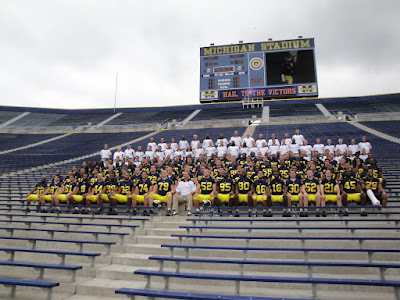 Took a ton of photos, as you would expect. 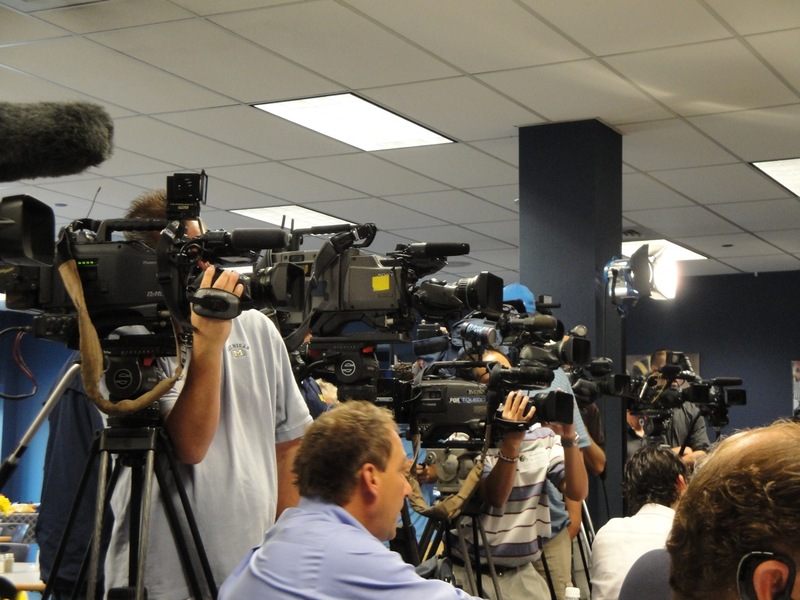 Also took some video of Rodriguez's comments to the media this morning which we will post a little later. One topic worth noting...freshman RB Austin White is no longer with the Michigan football team. 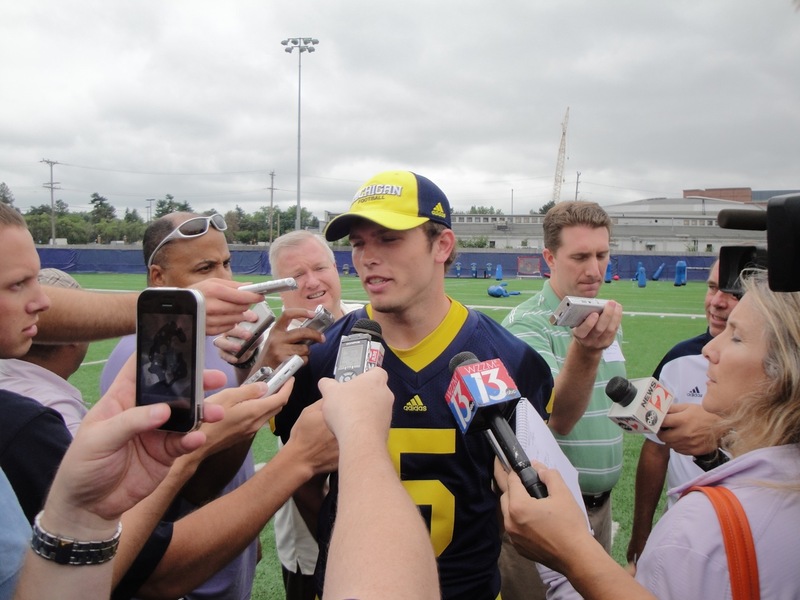 White enrolled early in January, and played some in the spring game. 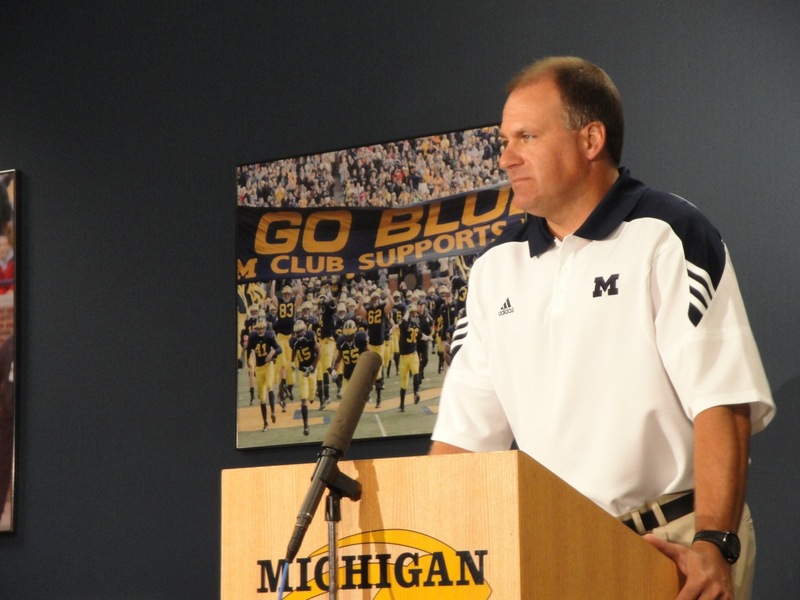 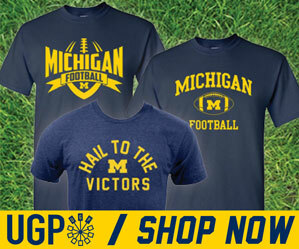 No real reason given for his departure, but it's safe to say that he's done at Michigan. 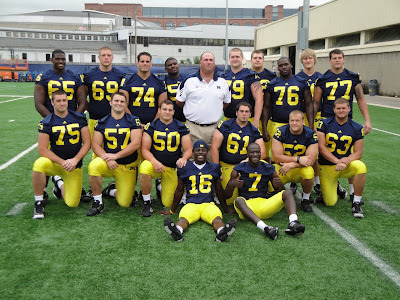 This is the 4th member of the 2010 freshman class that will not make it on the fall roster. One of the really nice things about the morning presser...every question was football related. None of this NCAA investigation nonsense. 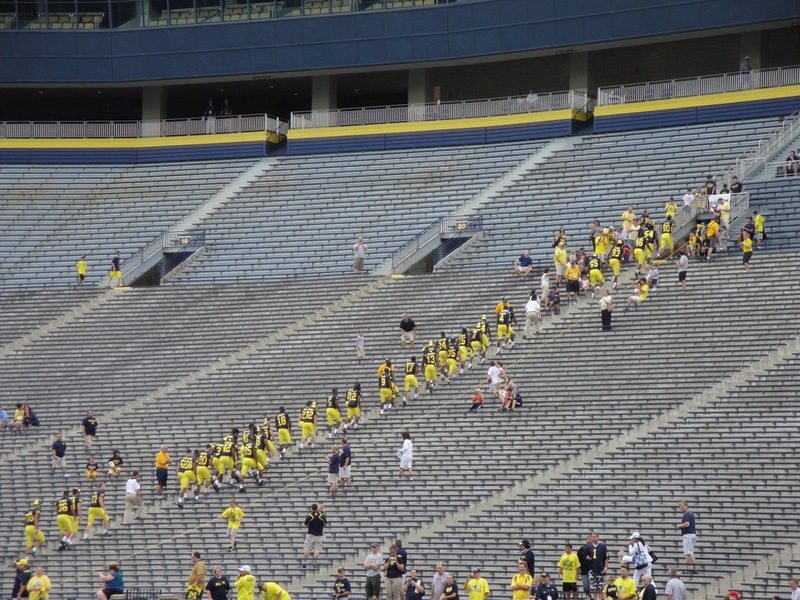 So refreshing. Okay, enough news...on to the photos. Click on the photo for a larger version. Brock Mealer (brother of OL Elliot Mealer) talks to the media about his upcoming Big House debut. 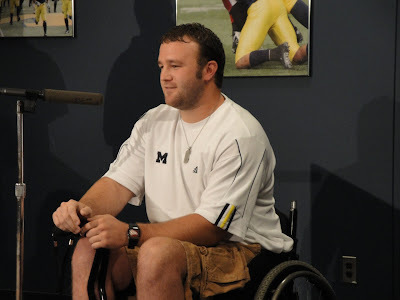 Brock will lead the team out of the tunnel onto the field on Sept. 4th. 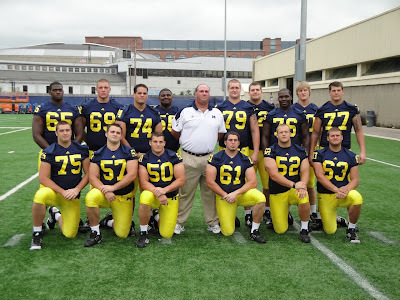 Breakfast with the coach. 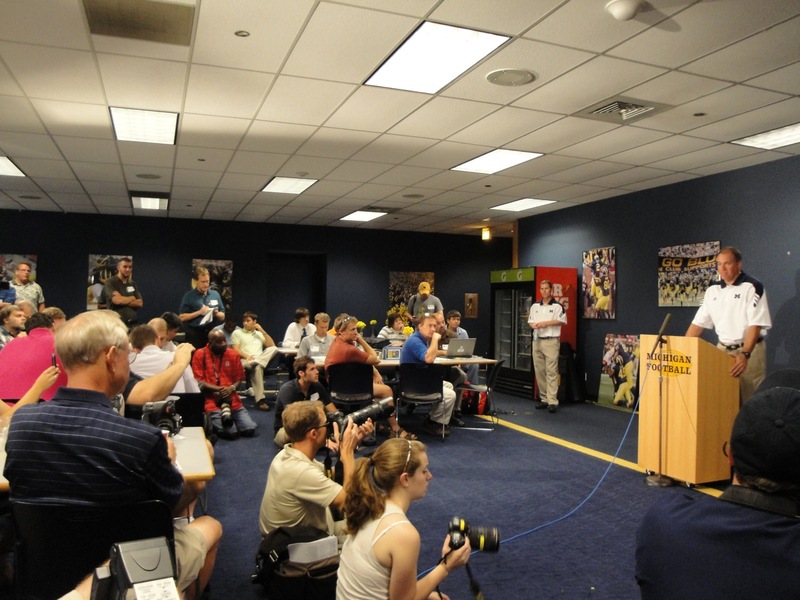 The Michigan media asks coach Rod some questions. As usual, Rodriguez was all business today. This photo hangs in the commons room inside Schembechler Hall. 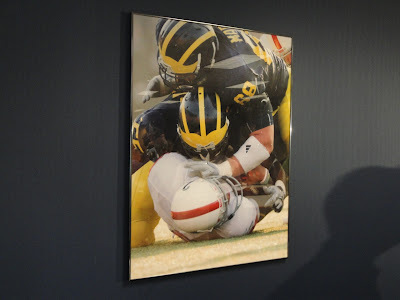 There was no way I wasn't going to snap a photo of it. 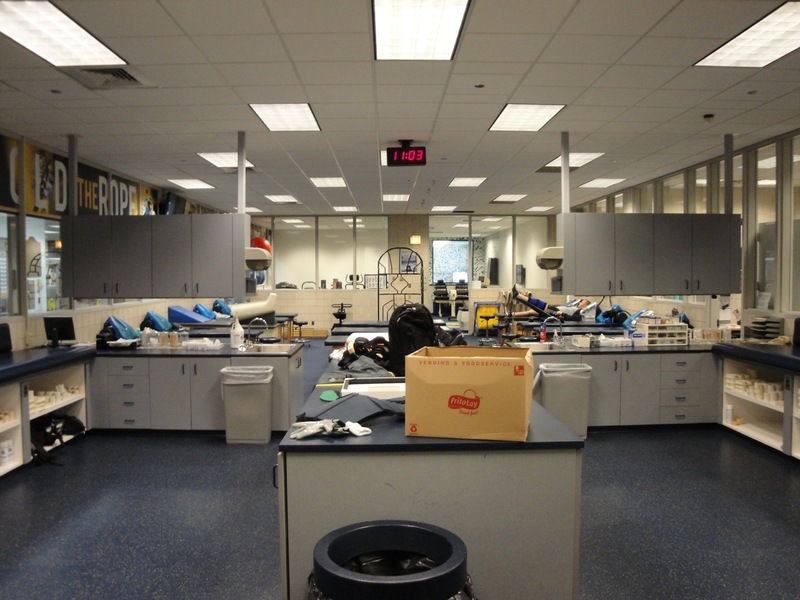 The training room inside Schembechler. 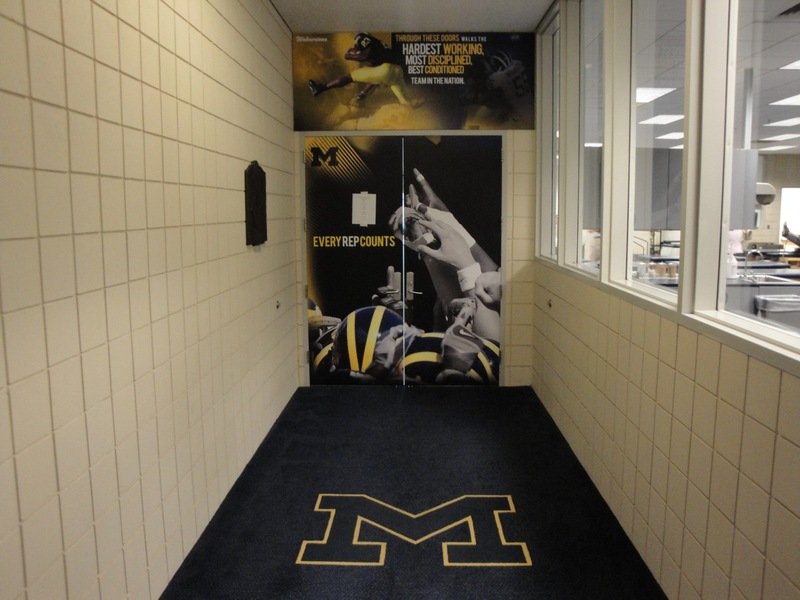 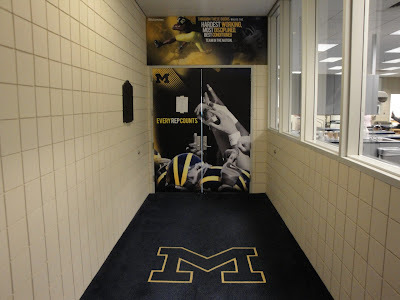 Doors that lead to the Schembechler Hall locker room. 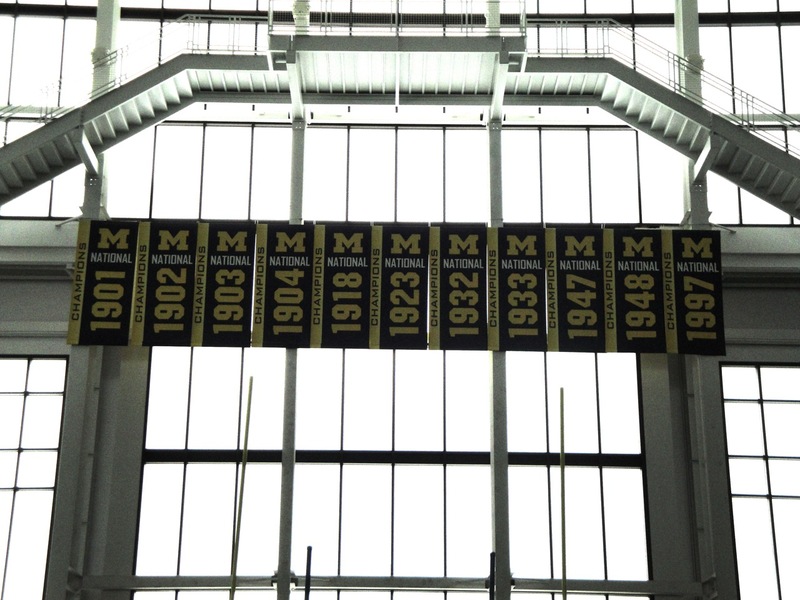 The block M at midfield inside the Glick Field House. 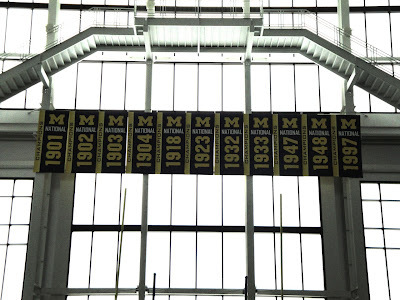 A little decorating inside the Glick Field House...national title banners. 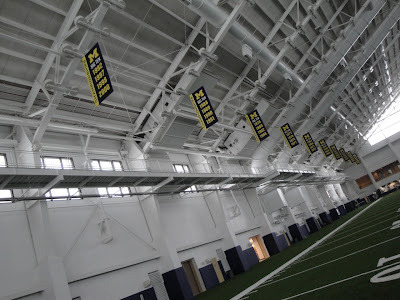 Bowl banners on the east side. Big Ten title banners on the west side. 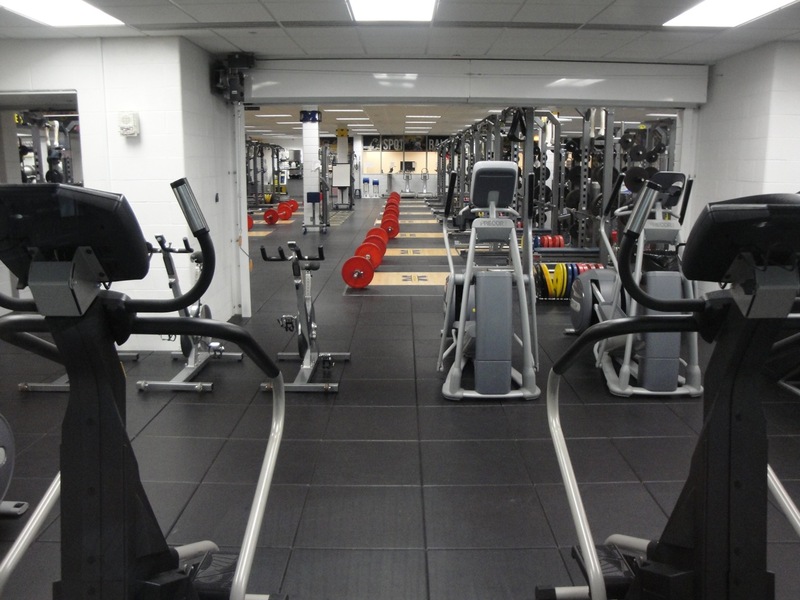 A little peak into the Michigan weight room. 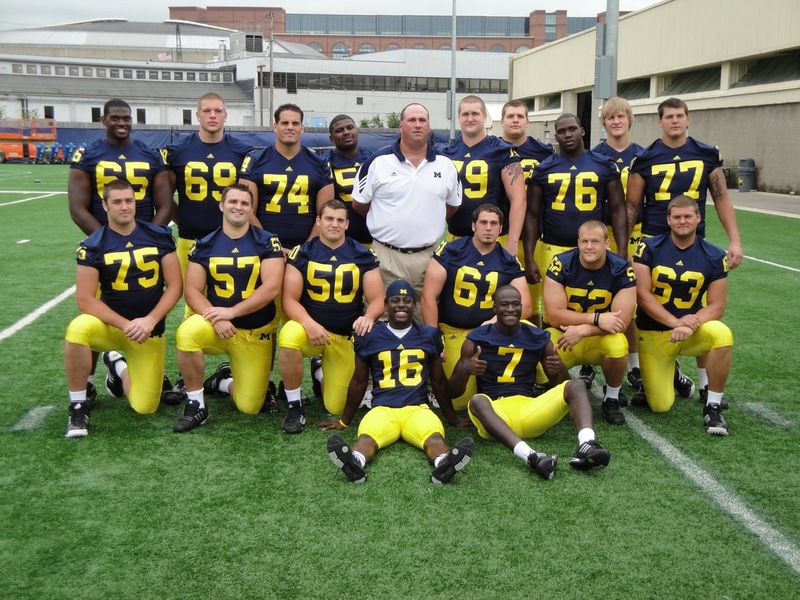 The 2010 offensive linemen with their coach Greg Frey...the backbone of the offense. 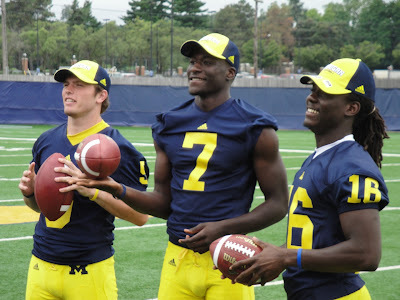 The QBs (Denard and Devin) spend some time with their best friends! Tate, Devin and Denard pose for the cameras. 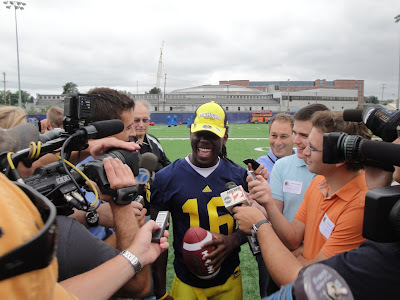 "Shoelace" enjoys some time in the media spotlight. 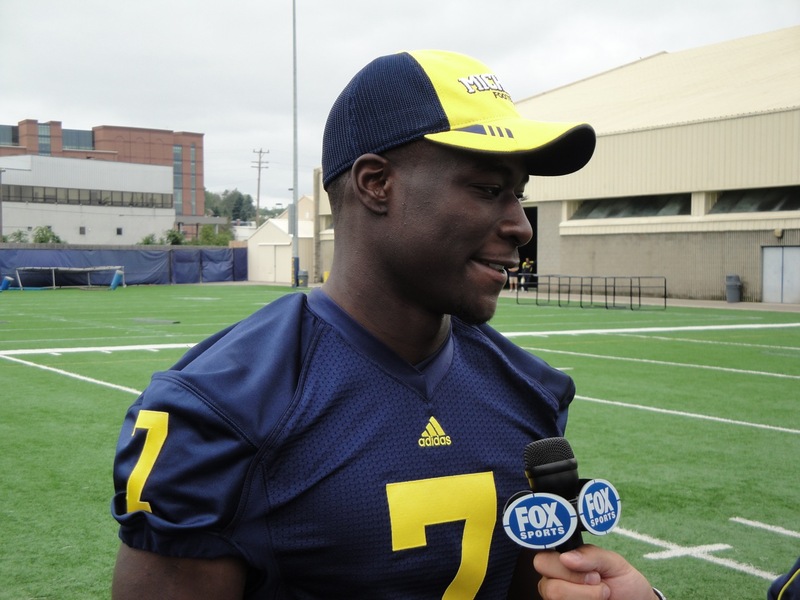 Devin Gardner takes some questions. As usual, Tate Forcier was a media favorite. 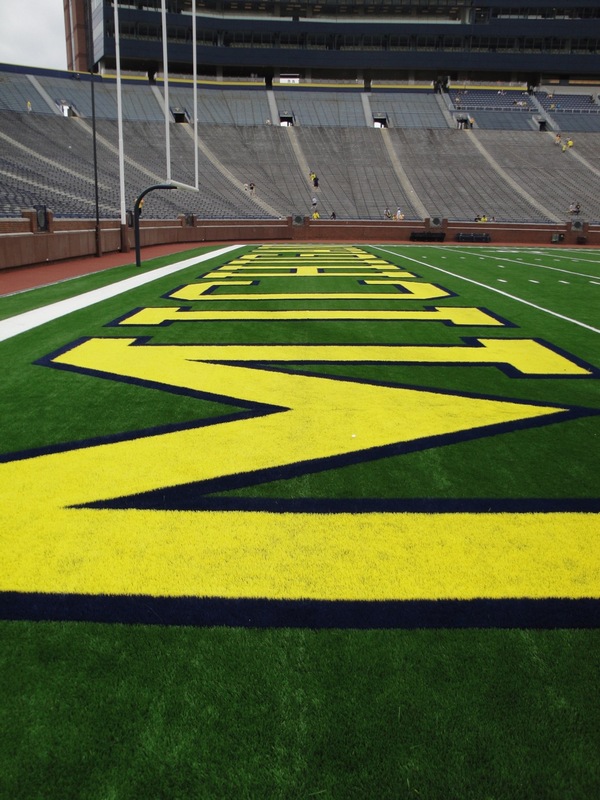 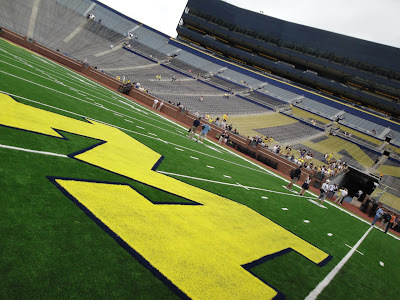 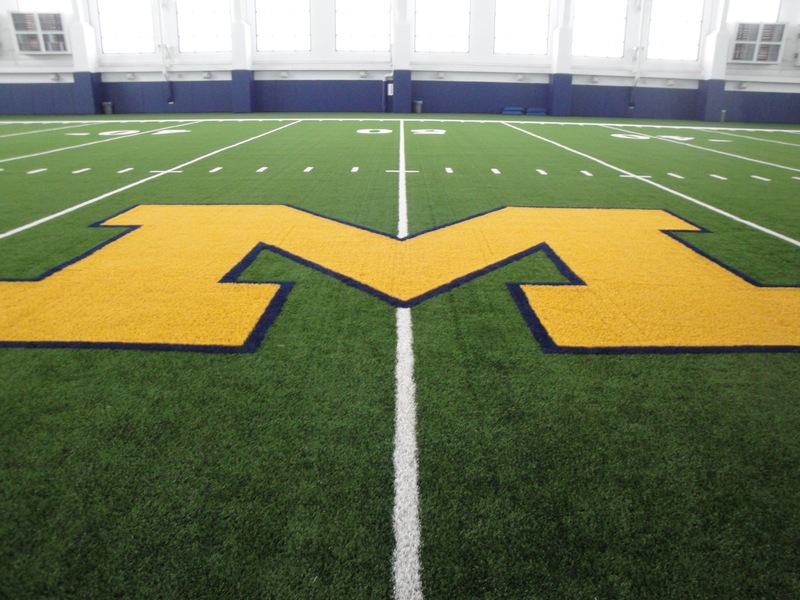 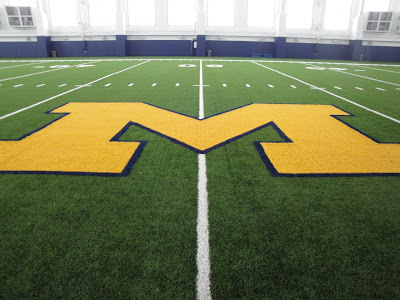 The new FieldTurf block M at midfield of the Big House. Much like the field it replaced, the design of the new FieldTurf is the same as the old field, but looks much more vibrant and colorful. 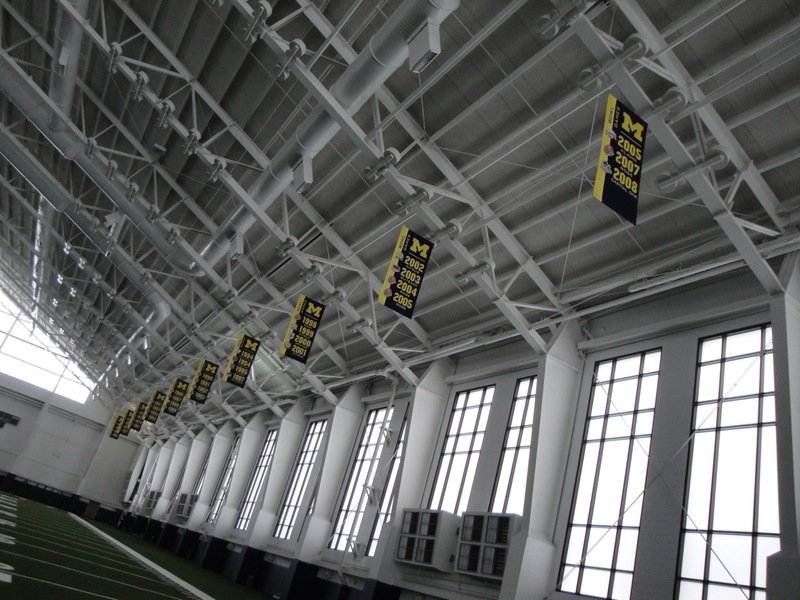 It should look great on TV in less than two weeks. 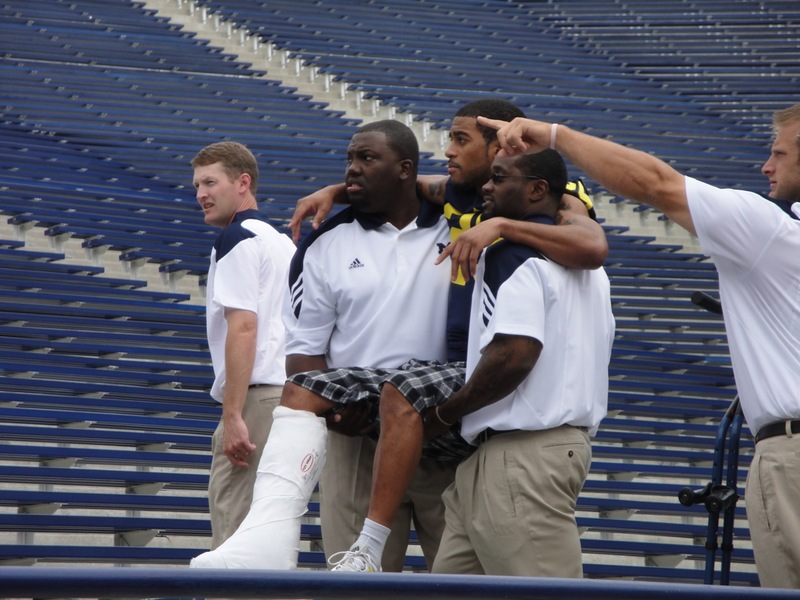 This was tough to watch...injured senior CB Troy Woolfolk being carried up the stands for the team photo. 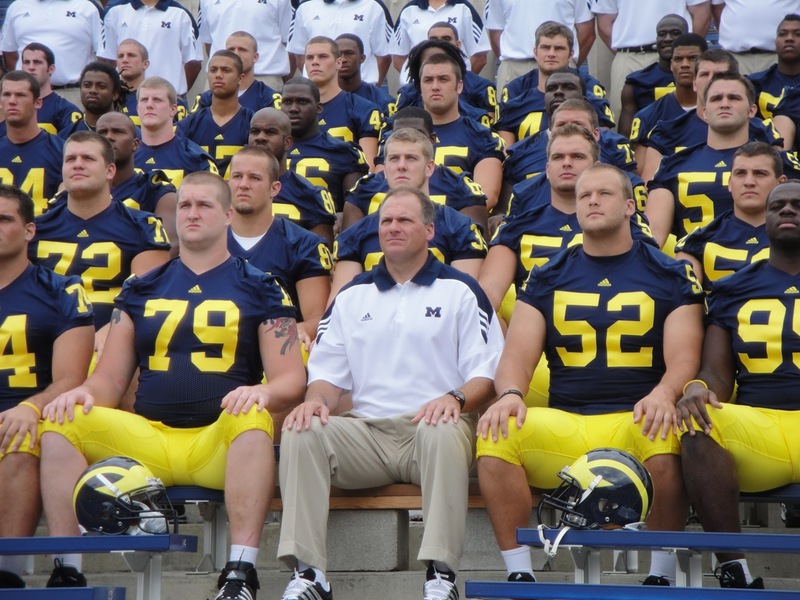 Rodriguez flanked by seniors Perry Dorrestein and Stephen Schilling. 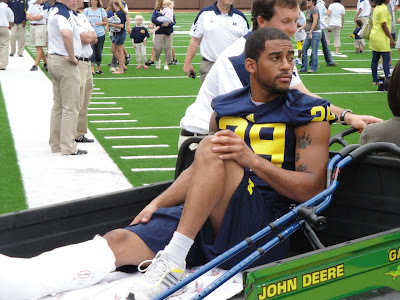 Believe it or not, Troy Woolfolk was able to crack a smile or two...can't wait for this kid to get healthy. It was clear to me today that he's still a definite leader on this team. 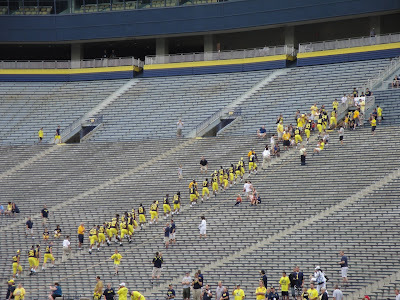 The Wolverines are off to greet some fans for fan day.